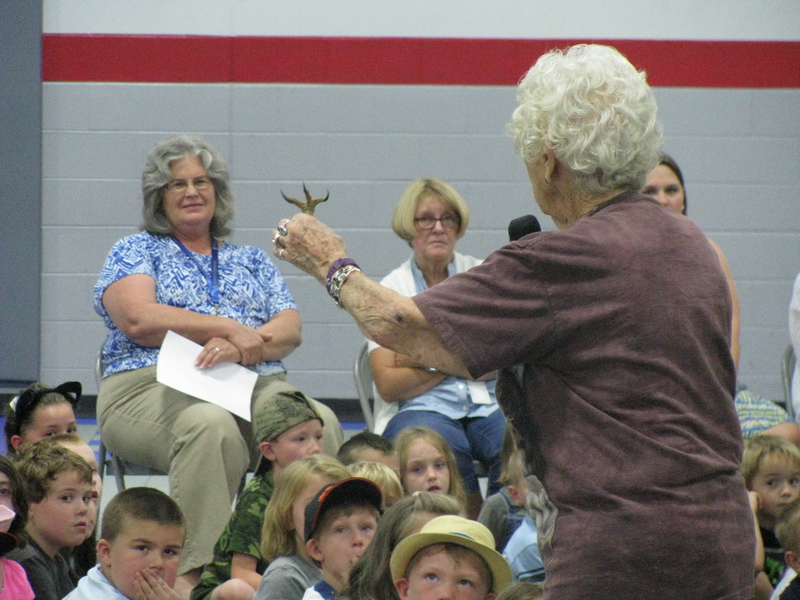 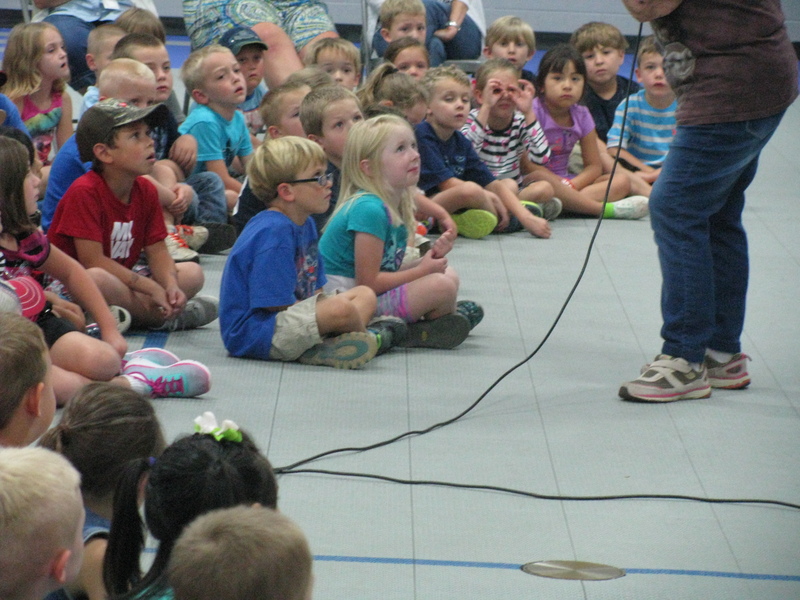 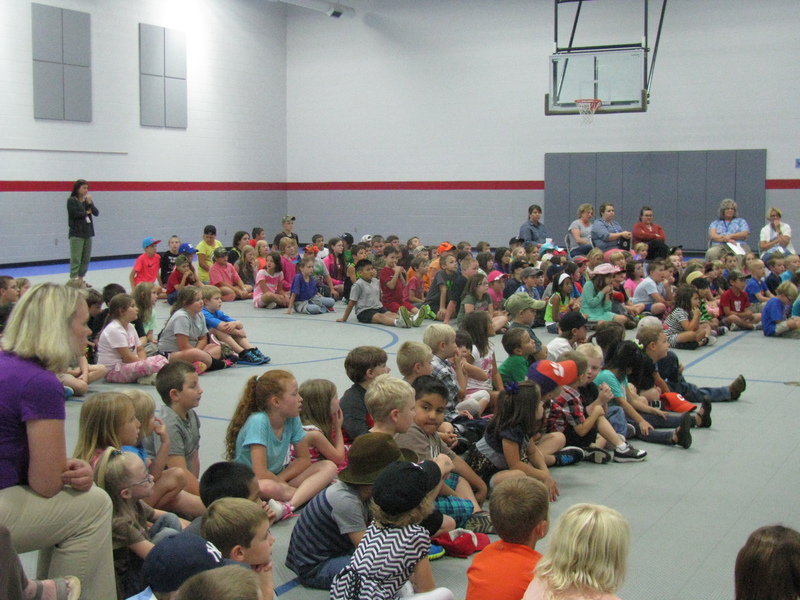 Last Friday, Riverbend students had a wonderful visit from an extra special guest, Mrs. Doris Mager, “The Eagle Lady.” Mrs. Mager will soon be 90 years old and travels the country sharing her love for birds of prey. She has devoted the last 52 years of her life to rescuing, rehabilitating, training, and researching birds of prey. 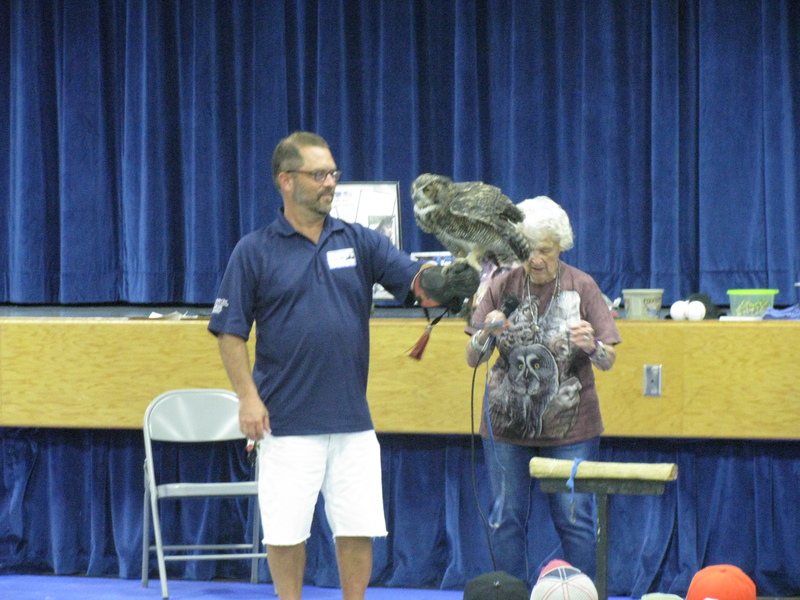 She brought along two of her closet friends for this educational and inspiring visit, “ET” The Great Horned Owl and Impy a Screech Owl. Mrs. Mager shared with students the importance of protecting our animals, our environment, and birds of prey. 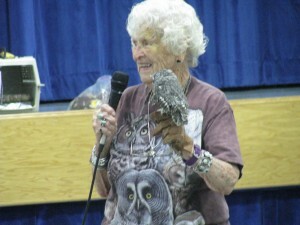 She shared many different stories of her beloved birds and how they came to live with her. 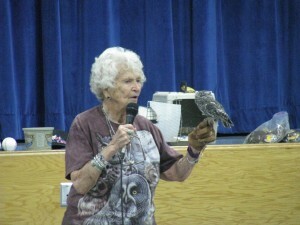 She travels the country by van with her sweet feathered friends often times sleeping in the van with them. 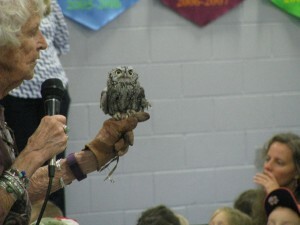 They go to schools, libraries, national parks, and other events educating young and old about the importance of these beautiful creatures. 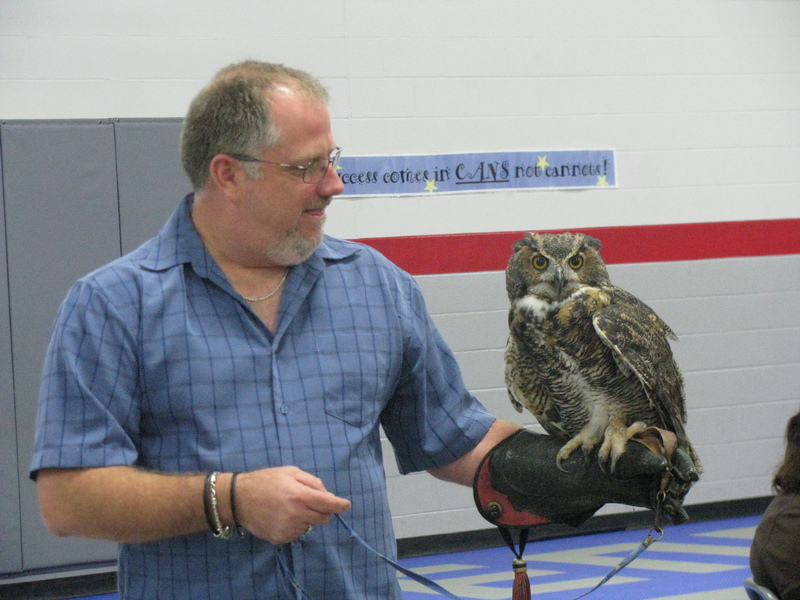 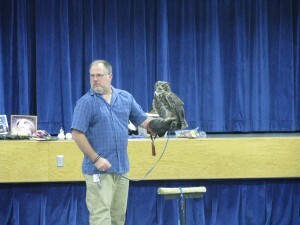 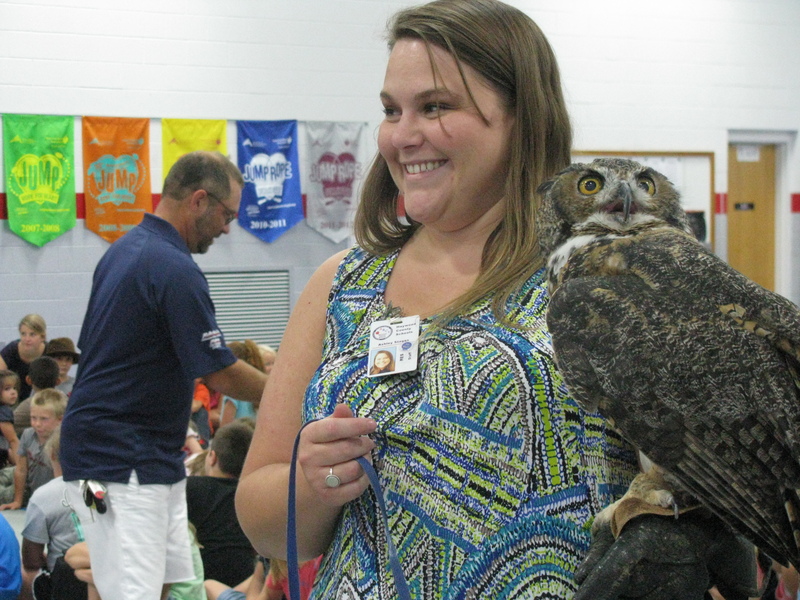 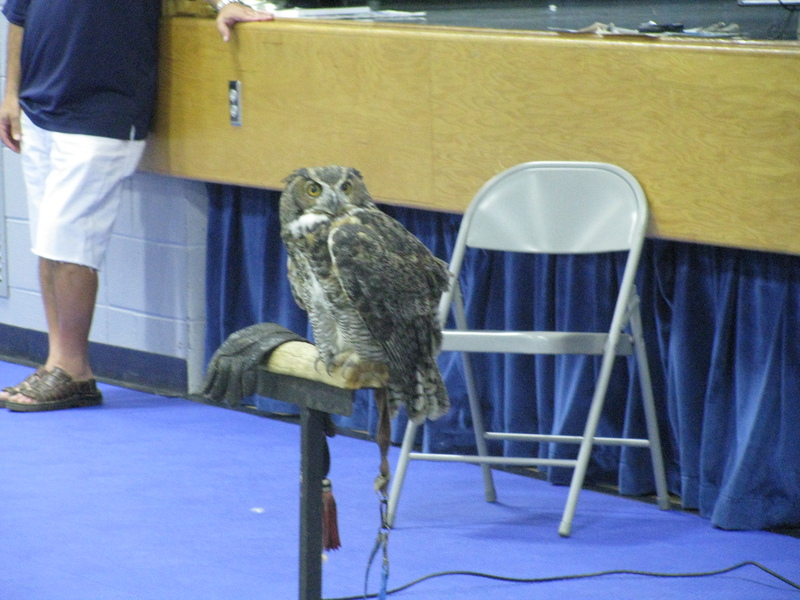 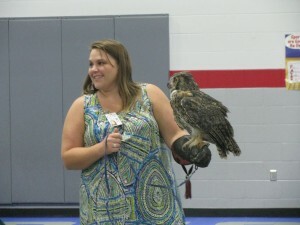 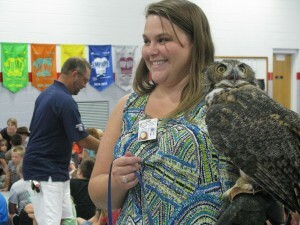 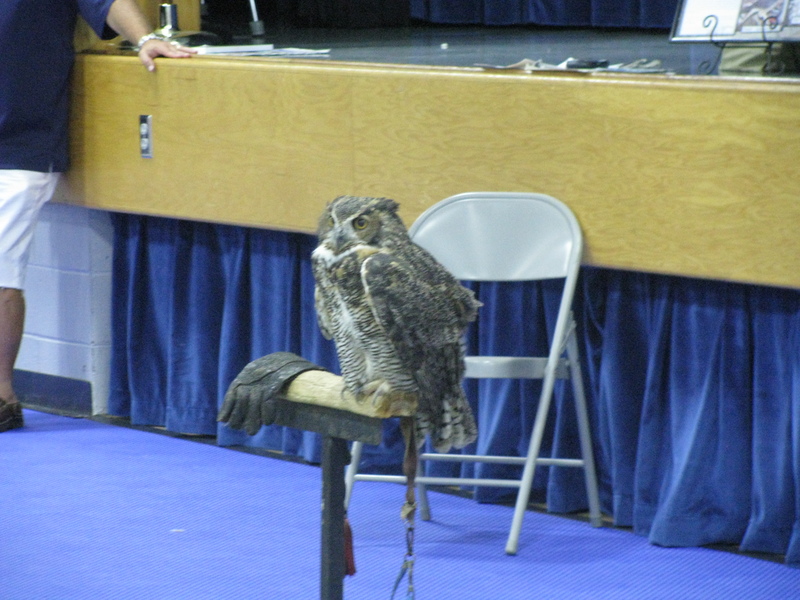 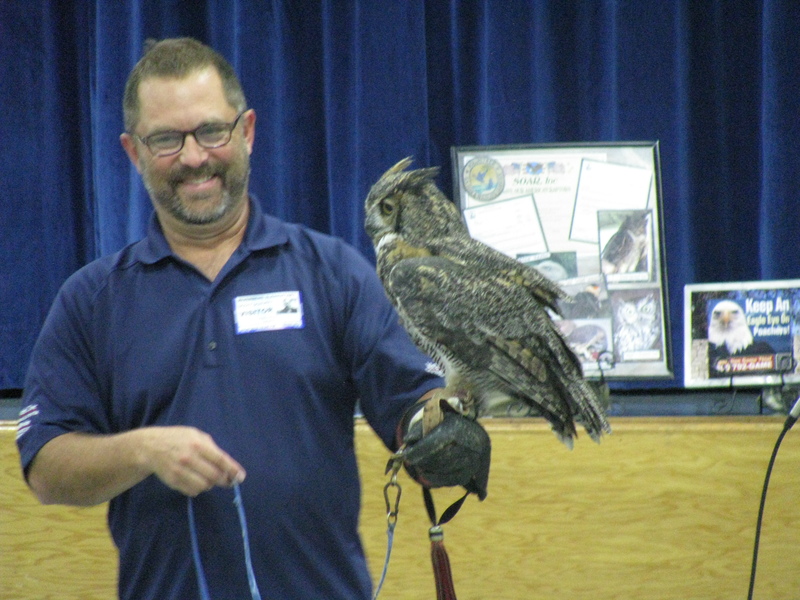 Riverbend students especially loved when volunteers and teachers got to handle “ET” The Great Horned Owl. Each time the volunteers wore a special glove and held onto ET’s leash to walk her around the gym full of excited students. 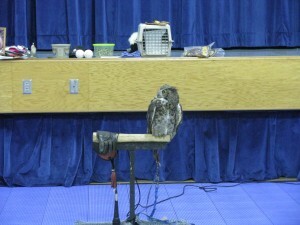 Then once at the back of the gym they would drop the leash and ET would soar to the front and land on her perch. Towards the end of the presentation Mrs. Mager introduced the students to a much smaller bird of prey, Impy a Screech Owl. 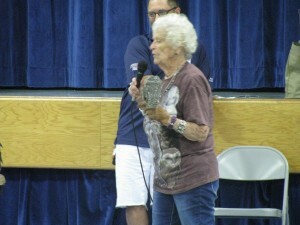 Don’t let her size fool you! Her talons were very sharp and many times she tried to break free of her leash. 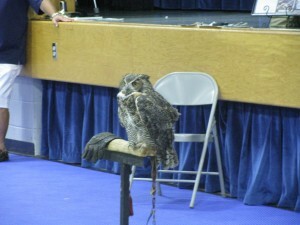 Impy was injured as a baby and only has half a wing and must stay with someone who will look after her. 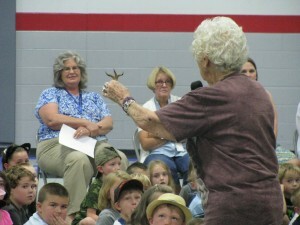 The students truly loved this visit from an amazing woman and her unique friends!